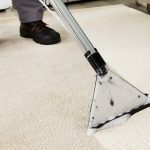 Carpet Cleaning Sheffield Review by Mrs Haigh of Sheffield S8. "I was completely satisfied with the service provided." Mrs Haigh or Sheffield S8 used us for the first time recently and said… I was completely satisfied with the service provided. "1st class service and serviceman and excellent results." Mrs Wooley of Sheffield S8 is a new client and following a visit recently returned the questionnaire and said… 1st class service and serviceman and excellent results. Thank You Mrs Wooley.